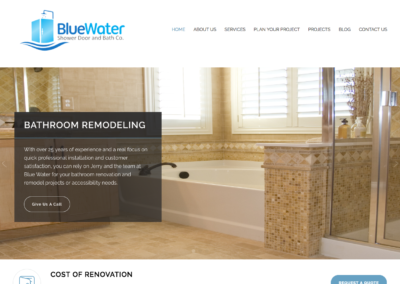 In 2016, Jerry Sparling had grown his bath restoration franchise and was ready to expand on his own. 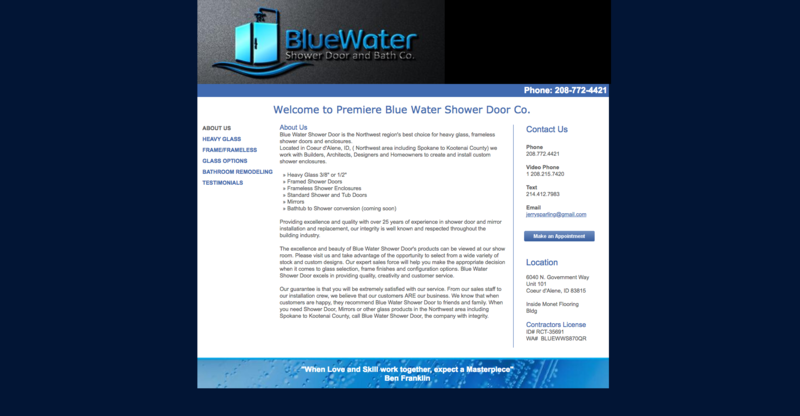 Blue Water Shower Door was the result. 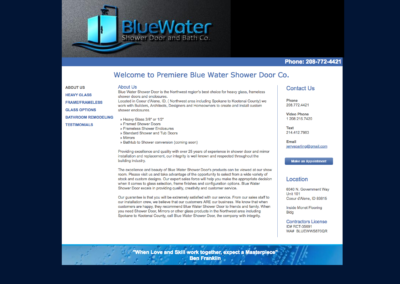 Blue Water came to Fyrefly looking to increase lead generation coming to his shop. This meant setting the website up to receive new traffic and track calls coming into the business. 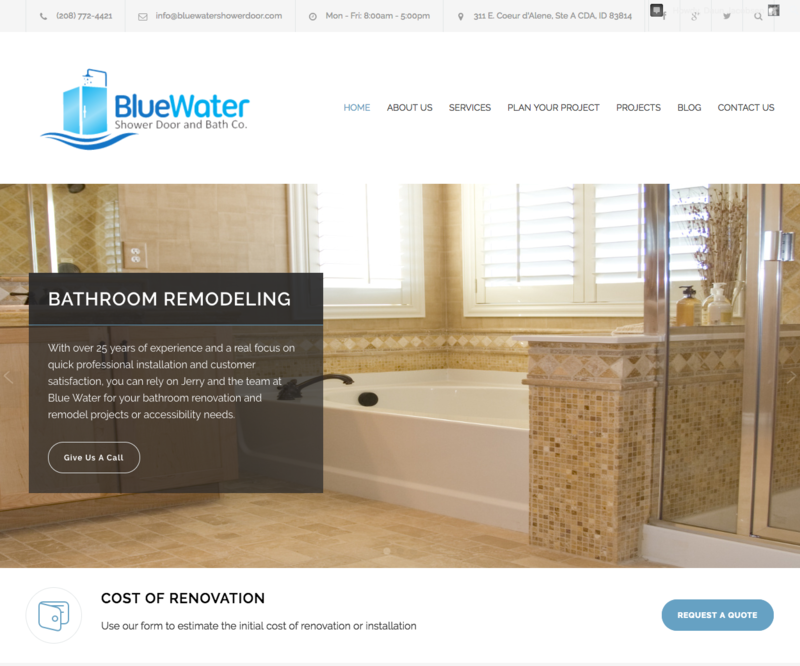 Moving the site from a DIY site-builder to a WordPress platform allowed many more features to be available on the website including an automatic estimator that then sent the lead on to the Blue Water Shower team to follow up on. 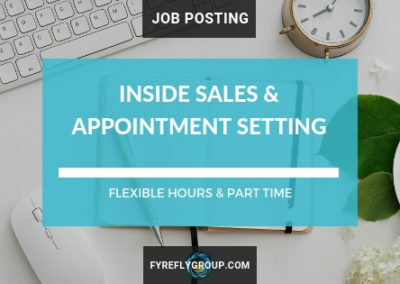 The new site also had greater customer appeal with new branding and a back-end that allowed a follow up of leads from their first time on-site all the way through the sale. 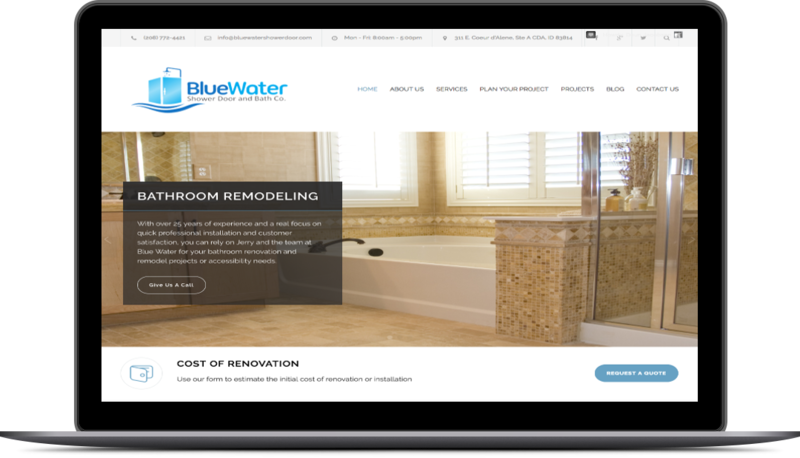 In 2017, Blue Water Shower merged with another business and the site was taken offline. We’ve provided some images of our work for your review.